Today we attended Zoo School at the Akron Zoo. This month’s program was on caves, and focused on how some animals have adapted to living in the dark. 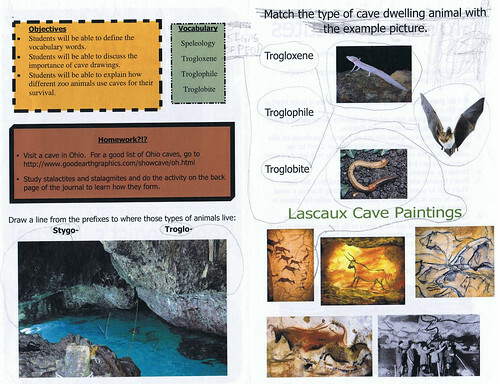 Students will be able to discuss the importance of cave drawings. 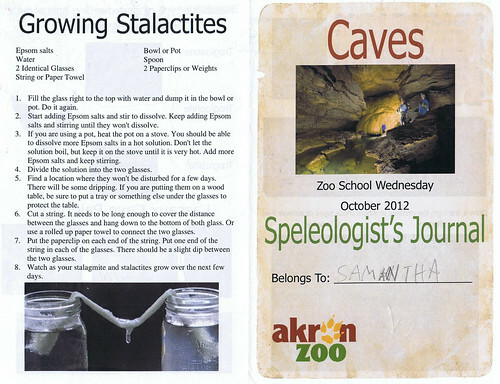 Students will be able to explain how different animals use caves for their survival. Before Zoo School, we went to class #3 of the Animalitos series. The kids finished sculpting and papier-mache-ing their animalitos. They will paint them next week, which is the last class. Posted on October 3, 2012 November 7, 2012 by JenPosted in ExperiencesTagged art, BIAA, classes, field trips, science, zoo.